Microsoft is apparently sick of pirates. And has obtained a patent to stop them. Some people don’t like piracy. They think piracy steals from the creators and gives to the common man. Microsoft is one of the “people” who apparently want to make sure that common people can’t engage in piracy. In order to make sure that people can’t share objectionable online content, Microsoft has acquired a patent. This patent will be used to block any copyright-violating material on the internet. It will, Microsoft hopes, stop people from sharing illegal stuff. The new piracy blocking technology will also be used to single out users who repeatedly engage in offensive behaviors. What type of “offensive” behaviors are we talking about here? Microsoft mentioned that it considered copyright infringement as one type of offensive behavior. The company representatives also said that the company was looking to bring the piracy blocking technology into other areas as well. Most of those other areas pertain to cases where users share copyrighted files on the internet publicly. Of course, precisely what will happen to repeated offenders is anyone’s guess. How does Microsoft plan on stopping pirates? There are probably hundreds of millions of online users who regularly engage in behavior that could be considered as piracy by companies such as Microsoft. Users upload files and share them as well. They do so maybe even on a daily basis if we’re talking precise numbers. As you can probably imagine, most of the times, those online users would not have obtained proper permissions before sharing files. Proper permissions from whom you may ask? Copyrighted material must always be shared with prior permission from the rightful owners of that given material. Most of the time, that is simply not possible nor feasible. And hence most online users end up sharing files illegally and hence engage in piracy whether they know it or not. But just like technology companies, pirates too have come a long way from sharing files on dedicated sites. Back in the day, the only way to access pirated content on the internet was through torrent sites and other such portals. Perhaps it is true that torrent sites like The Pirate Bay and ExtraTorrent are still the primary source of pirated material. But pirates have developed other ways of sharing copyrighted material on the internet as well. Nowadays pirates use piracy sites in conjunction with other means of sharing files. Those other means include using social networks to share files. Moreover, they also use resources provided by cloud hosting services. The likes of Google Drive, Microsoft OneDrive, and Dropbox can be and are used to share files publicly. As pointed out before, millions if not hundreds of millions of online users share files on the internet. It is near to impossible that copyright protection groups can get to them all at once or even quickly. Most of the time copyright holders don’t even know that their premium content is being infringed upon. But eventually, these copyright holder groups do find out about their pirated content. They have little choice but to report the files that are being shared on the internet without proper permissions. Copyright holder groups can also contact companies whose platforms are used to share those files. They can ask these companies to take those files offline or remove them from their search results. Additionally, these same technology companies can then block pirates from sharing similar files on the internet in the future as well. Truth be told, this cycle of takedown requests and companies taking down the requested files and pirate uploading them again has gone long enough. Most of the time, it’s not very effective. Pirates can just invest more time in finding newer ways of sharing files on the internet. Regardless, this cycle is unlikely to not happen on a regular basis. Of course, cloud storage services could just go ahead and delete files that are pirates through their online platforms. In an ideal world that would indeed make sense. Sadly, we don’t live in the ideal world. And hence, simply deleting pirated content from one’s platform isn’t always possible. Sometimes, it’s not even an option. Uploading copyrighted content to online cloud storage facilities is not a crime. You could just own a book and store it on a cloud hosting service of your choice by using your account. That is completely normal and allowed. But of course, you can’t share that book. One of the way to make sure that you don’t share that book is by disabling the sharing option. You could disable sharing on a whole or for just that given book. Or you could enable sharing for all the other files and disable it just for one book. Most of the times, this arrangement works fine. But most of the time, people do use online cloud storage facilities to share copyrighted content rather than just store it. So, as far as technology companies are concerned, it makes sense that they should keep an eye on their users. More specifically, they should keep a close watch on frequent online abusers. The company obviously also needs to make sure that pirates get punished if the nature of the crime is serious enough. And, in order to make sure that the above scenario sees the light of day, Microsoft recently acquired a patent. This patent would allow the company to not only prevent piracy but also identify users who engage in piracy. The patent is titled “Disabling prohibited content and identifying repeat offenders in service provider storage systems”. And basically, the document describes techniques, rather a system, on how Microsoft can take action against pirates. 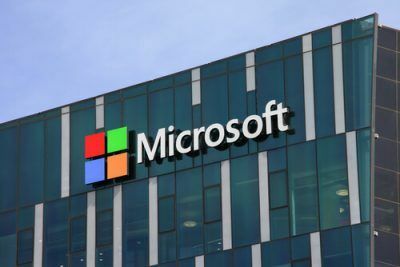 The patent will allow Microsoft to first identify copyright infringers along with other users who upload and publish copyrighted/objectionable online content. Then the company will also be able to flag those users as repeat offenders. This way, it would become easier for Microsoft to single out the kingpins of the piracy world. How Will This Help Cloud Storage Services? With the patent in place, cloud storage services will have a good overview of all the copyright infringing activities taking place on its platform. After that, it is only a matter of the hosting provider moving forward and taking action. We mean, the hosting provider could just restrict the sharing permissions of certain users. Or it could ban and remove their accounts. The cloud storage service will have to make sure that they take action against the right user and not punish users who don’t deserve to be punished. In other words, a “terminate account” action should only be taken where it is warranted. The patent document is rather detailed and describes in minute details of how to go about singling out habitual pirates. 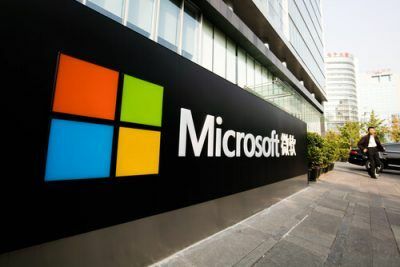 Microsoft’s latest patent reads that incidents that result in objects being so marked can be stored in an incident history associated with a user responsible for those objects. If further says that the incident history can be processed to identify repeat infringers and alter access privileges of those particular users. The patent uses the word “repeat infringer” a lot. You have also noticed us using the world repeat infringer a lot as well. What Does Repeat Infringer Mean? The term repeat infringer is being thrown around in the media quite a lot these days. In other words, it has become the Hot Topic of the year 2017 as far as pirates and piracy sites are concerned. Moreover, the term has attracted significant media attention after the internet service provider Cox Communications got involved with it. Well, basically the court ordered Cox Communications to pay $25 million as fine. Because of Cox Communications’ failure to stop and then disconnect users who were considered as repeat offenders. What Does The DMCA Say? The Digital Millennium Copyright Act clearly says that online internet service providers are obliged to do two things. One is that they should implement a realistic and practical policy to identify frequent copyright infringers. Second, they should remove those frequent offenders from their customer base. The system detailed by Microsoft patent will be able to do that effectively. Firstly, we could be wrong. The patent could turn out to be just a piece of paper with no practical applications. Secondly, the patent is more likely to help Microsoft to catch pirates because it is very detailed. It considers more than one situation where a user could engage in piracy. In other words, the system described by the patent will be able to correctly identify most piracy cases. The patent has measures (such as disabling sharing features) against pirates who share a single file. But it also has techniques that can be used to block repeat infringers. Of course, the patent doesn’t really explicitly say which policy Microsoft will likely employ in the future. It is pretty safe to say that Microsoft’s latest piracy blocking patent may be the only patent that deals with piracy in such detail. The patent not only has measures against single file sharers but also against repeat infringers. Moreover, the patent also specifically deals with repeat infringers who take advantage of hosting services. But cloud hosting services aren’t waiting for Microsoft to put its patent into work before moving on. To put it another way, cloud hosting services now regularly block online users from sharing copyrighted content through their platforms. Many recent reports in the media have detailed how Google Drive makes use of hash matching to thwart online users from sharing copyrighted files publicly. For what it’s worth, Dropbox uses the same technology to block pirates as well. Of course, all of this doesn’t mean that people will stop pirating. Kodi users have steadily increased in numbers in the US. The Canadian broadband management company, Sandvine, has published a report which says that about a lot of Americans use Kodi. More specifically though, the report says that nine percent of American Households have one Kodi device at the very least. But that’s not exactly the worrying part. The worrying part is that about two-thirds of these American households have Kodi devices that use pirate add-ons. You don’t need a genius to tell you that millions of American families benefit from using Kodi at home. Perhaps that also explains the huge surge in the popularity of Kodi. Kodi is basically just a media player. It was previously simply known as XBMC. The number of people who use Kodi as their main source of consuming content has only increased in recent years. There are more people who are using Kodi now than ever. And while there is nothing inherently wrong with that, there are certain situations which are dangerous. We’re talking about situations where people use unofficial Kodi add-ons to stream copyrighted content. Most of the time, the copyrighted content comes in the form of movies and TV series. But no one needed a report from a Canadian organization to know how prevalent the use of Kodi has become. There was enough anecdotal evidence even before that. Of course, very little research has been done in this department to prove that a lot of people use Kodi. Perhaps this is where the report published by the Canadian broadband management company Sandvine comes into play. 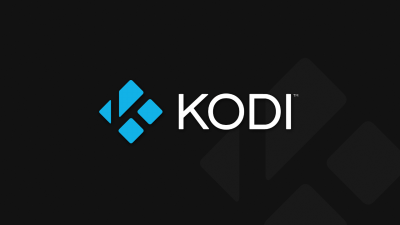 This report aims to fill the gap between anecdotal evidence and proof that people do use Kodi. And they use it a lot. Kodi, officially, does not support piracy. Scandinave first collected enough data sets from several North American premium (by that we mean tier 1), fixed-line providers. It then analyzed that complete dataset. The dataset covered more than 250,000 North American households, though the households themselves remained anonymous. Sandvine used this data and then estimated how many of those North American households used at least a single Kodi device. The Sandvine report said that the Kodi application itself did not generate much relevant data. It further pointed out that despite that it was easy enough to detect within an American household if it used a Kodi device. Sandvine used a typical households heartbeat traffic which could be identified rather easily. 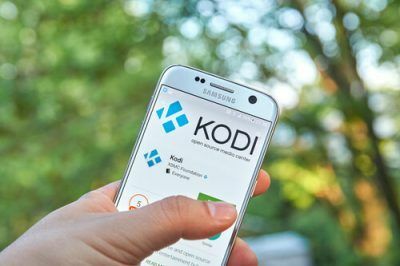 The report estimated that about 9 percent of the North American households that had internet access actually had an active Kodi device. What does that say about the actual, but potential, number of American households that use Kodi devices? Digital Economy Bill Is Official. Pirates Will Go To Jail For 10 Years In The UK. Was this written by a 10 year old? Damn!